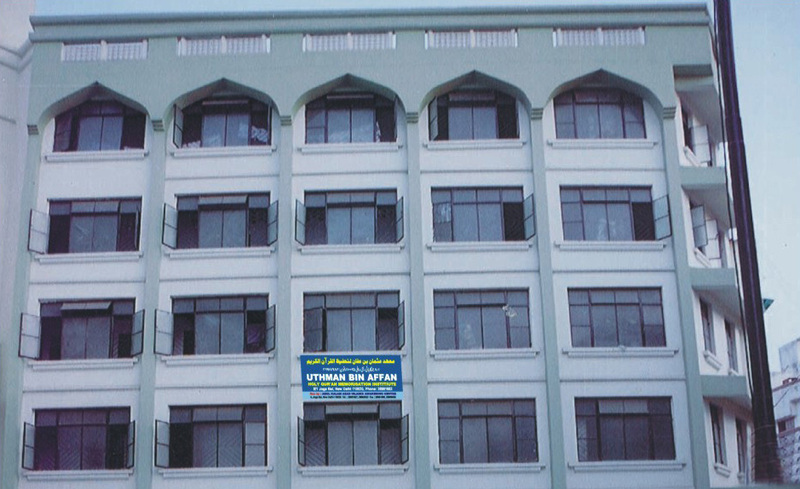 The chief objective of this residential institute of Qur'anic learning, housed in the capital of India, is to produce exceptionally proficient Qur'an memorizers and reciters. Glory be to Allah that He so blessed this young institute that, in an amazingly short period, it was able to register singular achievements and win good praise and reputation in the country and outside. Among the pupils enrolled in the Institute are not only Indians but also Nepalese citizens. It is worth mentioning here that a good number of the students graduating from the Institute have already been selected to serve as Imáms of prayers (including special Tarawih prayers in Ramadan) and teachers in seminaries, in Islamic Da'wah centres as also in universities not only in Nepal and India but also in several Arab countries. Our graduates are held in high esteem in whatever clime or country they happen to be and are preferred for work over all other reciters and memorizers of the Holy Book. Apart from competing in the events held over the years in India and Nepal, our students have also participated in a number of international Qur'an competitions and came back with trophies and certificates of appreciation and praise for themselves and for the Institute. Our students have several times won a place for participation in the Qur'an Recitation events in the King Abdu Aziz International Qur'an Competition in Makkah and in the competition known as Dubai International Holy Qur'an Award. Our students also participated in a Qur'an recitation competition in Morocco. The Institute came prominently on the Qur'an recitation world map when one of its students won the Second Prize in an event contested by seventy participants in the Dubai International Holy Qur'an Award in November 2001.